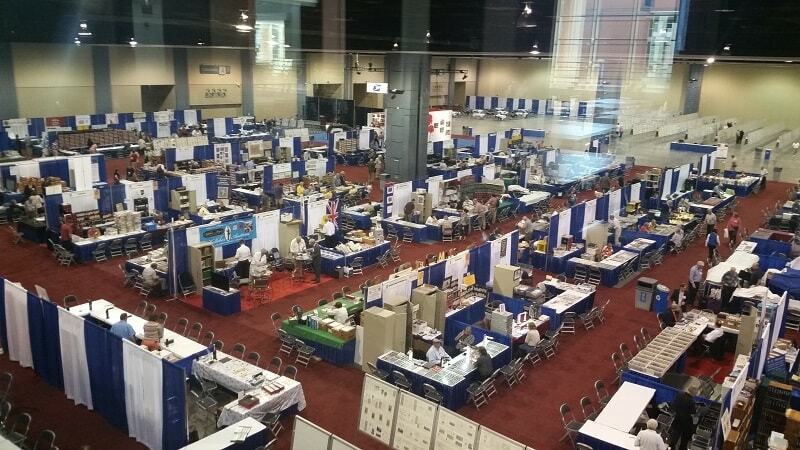 Every year during the summer, the APS (American Philatelic Society) hosts one of the largest shows in the world. The latest StampShow (as they’re called) was held in Richmond, Virginia starting August 3rd, and ending on the 6th. As a YPLF (Young Philatelic Leaders Fellowship) Fellow, I was able to attend the show, along with my dad, all expenses paid. But it wasn’t simply a free trip where I could relax, buy some stamps, and explore the city – instead, I was working behind the YPLF booth, attending seminars, and so much more for a good 9 hours straight every day. And I would rather have it that way. I had a lot of fun, made some great connections and friends, and – most importantly – I learned a ton. By the way, if you are a young philatelist (between the ages of 16 and 24) or you know of one, I can’t recommend the YPLF highly enough. Visit this page on the APS website for more details. 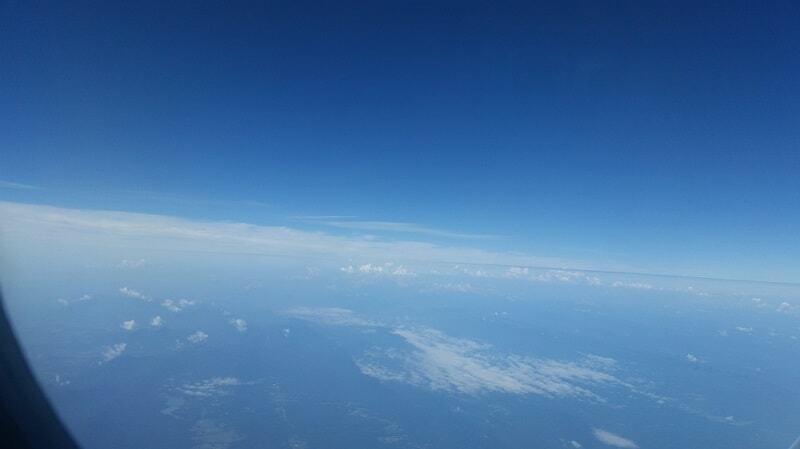 Anyway, back to my trip. Flying over the Appalachian Mountains en route to StampShow 2017, held in Richmond Virginia. I arrived there on August 2nd, the day before the show to help with set up. The other YPLF Fellows and I got to screw exhibit frames together (there were hundreds of frames), and set up and organize the children’s area and the YPLF booth. It was sweaty work, but lots of fun! Afterwards we all went out for pizza at a place called Tarrant’s. The next day was opening day. StampShow 2017 – I took this photo 10 minutes before closing, that’s why the attendance is so sparse. Thousands of people poured into the convention center where the show was being held each day. Many were locals, but a good number traveled a fair distance – some as far away as Australia. A show of this size only happens once every year and for the devout philatelist, it’s not something to miss. Manning the YPLF booth was a full-time job for much of the show. Our stock mostly consisted of old covers and a sprinkling of FDCs and gold replicas (of course, none of the gold replicas sold to my knowledge). We also had full sheets of discount mint postage, priced at 75% of catalog value. All of our material was donated to the APS specifically for the YPLF. And all of the proceeds from the booth help pay the YPLF program expenses. Manning the booth is always a great learning experience and gives Fellows the opportunity to see what it’s like being a stamp dealer. I personally have learned so much behind that booth, including how to interact with customers, ways to generate more sales, and even what NOT to do. The YPLF booth was not the only place I worked. I wanted to get a more well-rounded experience of being a stamp dealer, so when I heard that another dealer was looking for a helper I gladly volunteered. This booth was called Stamp Art, and it’s run by Tom Kinberg. Working at the Stamp Art booth. It’s much busier earlier in the day. Helping at the Stamp Art booth was definitely a different experience from the YPLF booth. I was kept on my toes helping customers find the stamps they were looking for, constantly searching for the correct box and replacing boxes people had finished going through. It was fun and I would happily do it again, but I will admit it was just a bit tiring. Other than working behind dealer booths, I also spent some time in FRONT of dealer booths. After all, you can’t visit a stamp show without purchasing anything…. Since the USPS had a booth there, I purchased a couple sheets of stamps I’ve wanted since they first came out. These were the solar eclipse stamps which were issued June 20th, and the “Have a Ball!” stamps, issued June 14th during the U.S. Open Championship. The reason I wanted these was because they weren’t your regular boring modern postage stamps. They actually have cool features which make them fun to own. 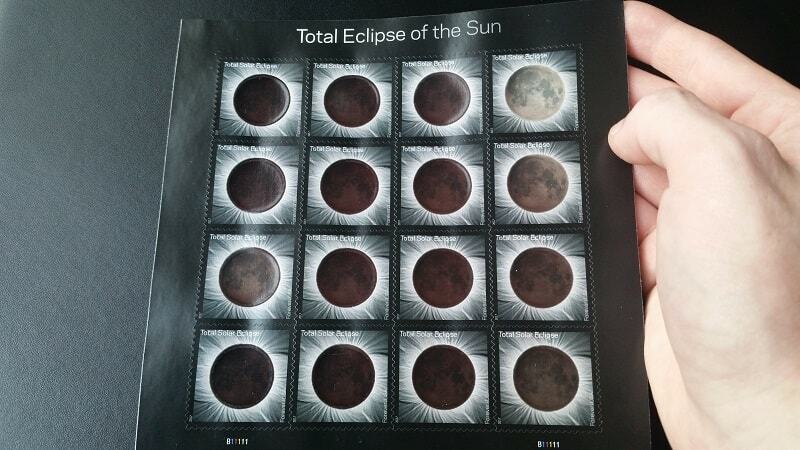 My sheet of total solar eclipse stamps. The solar eclipse stamps are neat because when you place your finger over (or behind) the moon, the heat from your finger causes the black ink to disappear, revealing the moon as it normally looks in the night sky. The science behind this phenomenon is explained in this article from the Denver Post. It’s hard to tell from the picture, but parts of each ball are raised and textured. 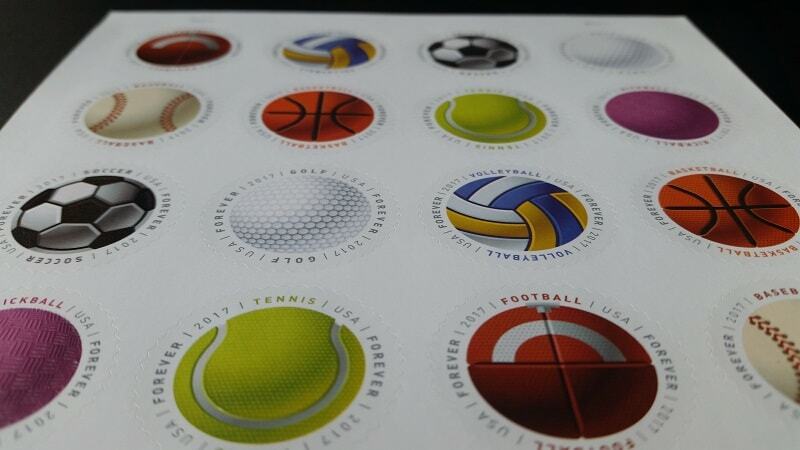 The “Have a Ball!” stamps – featuring a football, volleyball, soccer ball, golf ball, baseball, basketball, tennis ball, and kickball – are unique because texture was added during the printing process to make each ball feel authentic. You can read more about them in this article from Linn’s Stamp News. Well-centered U.S. Scott #480 with jumbo margins. Too bad the face is almost completely covered…. 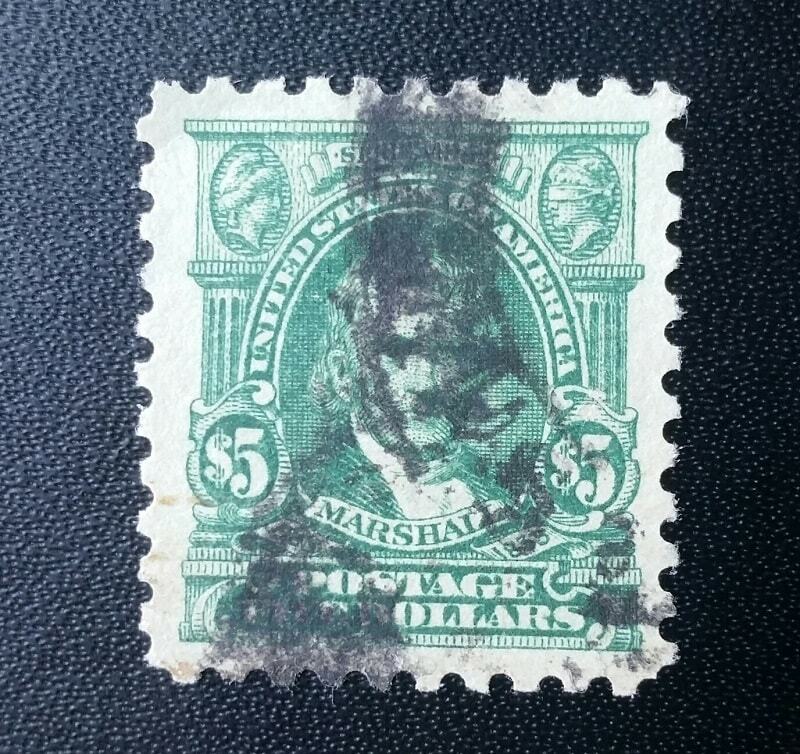 Another neat purchase of mine was a heavily canceled, but very well-centered jumbo U.S. Scott #480. Considering its centering and size, I thought this purchase was a really good deal. On the last day of the show, I spent some time digging through the “Stamps by the Bucket” pile, where you can fill a small bucket of stamps for $5, or $1 if you’re no older than 12. For the most part, the stamps in that pile are worthless – but as I discovered, there are a few better stamps in there as well. Since I collect older U.S., mostly Washington/Franklins and 4th Bureau issues, I was keeping a sharp eye out for these and when I found any, I double-checked for varieties. Most of them were common stamps like #498-99s, #634s, and #554s. But then one caught my eye because of the perforations. I pulled it out, and sure enough – it was perf. 11×10. A Scott #579 (used) on paper, which has a catalog value of $140. This is the #579 I found while digging through Stamps by the Bucket. It looks common, but it actually has a catalog value of $140! When I gasped with excitement after finding this, the other people at the table asked what I’d found, and I gladly explained. 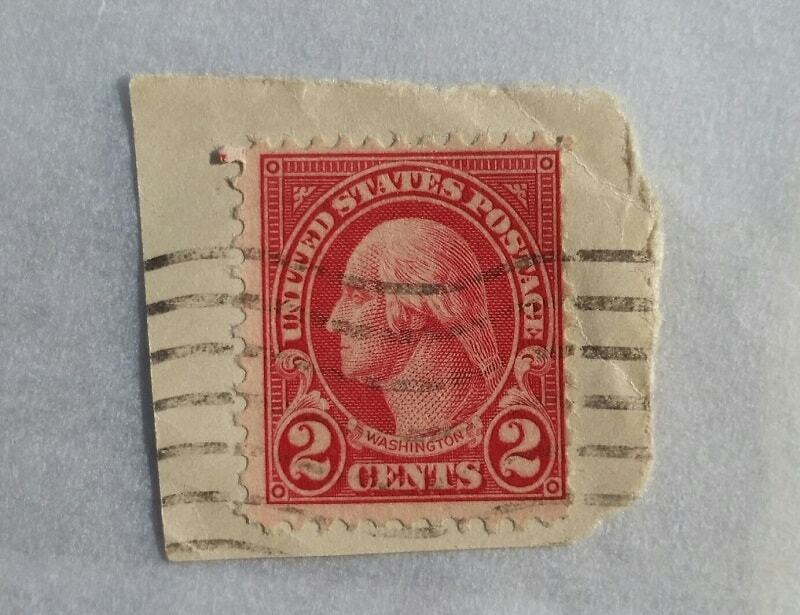 Not even a minute later, someone else casually pulled out a red Washington stamp and asked me what it was. It was another #579. There must have been more in there, but I couldn’t spend any more time there since I had to get to the airport. StampShow 2017 was the 3rd and final APS show I attended as a YPLF fellow. I had been to both Portland and Reno for the summer and winter shows over the last year. On August 5th during the APS General meeting, me and the other two 2017 YPLF Fellows, Sommer DeRudder and Jessica Rodriguex, formally graduated from the YPLF program. Later that day, we gave our final presentations where we talked about our year as a YPLF Fellow and what we learned from the whole experience. 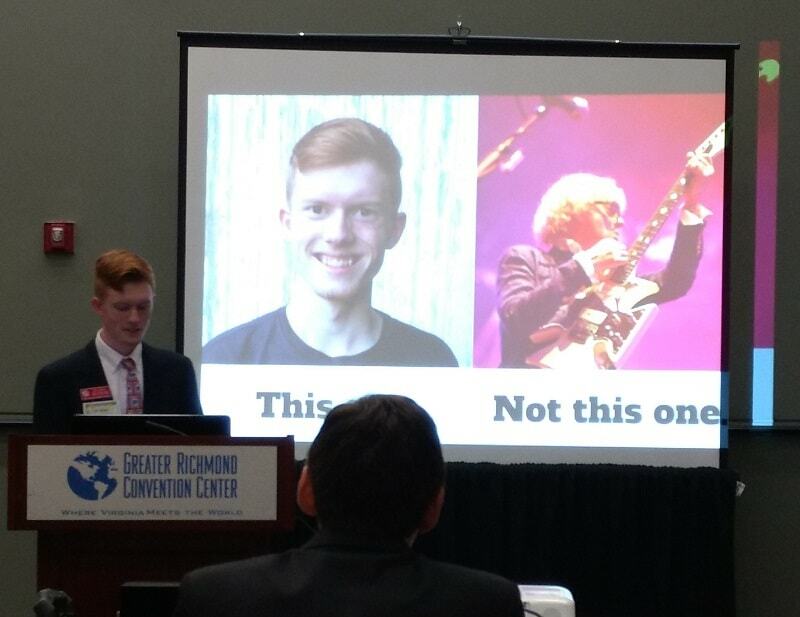 Introducing myself at the beginning of my presentation…. Graduating from the YPLF was a bittersweet feeling. I am happy to have had the opportunity and the exhilarating experience, but I’m also sad that it’s over. I’ll mention it once again: if you are a young philatelist, definitely apply for the YPLF. It will be one of the most exciting experiences of your life. Plus, you’ll learn a lot and meet some truly awesome people. I had a blast at StampShow. I made some great connections, learned a lot, and got to be immersed in stamps for nearly 4 whole days. As with the other shows I’ve been to, this was an experience I will never forget. As a YPLF Fellow, one of the things you get to do is choose a track upon which to focus a year of study. 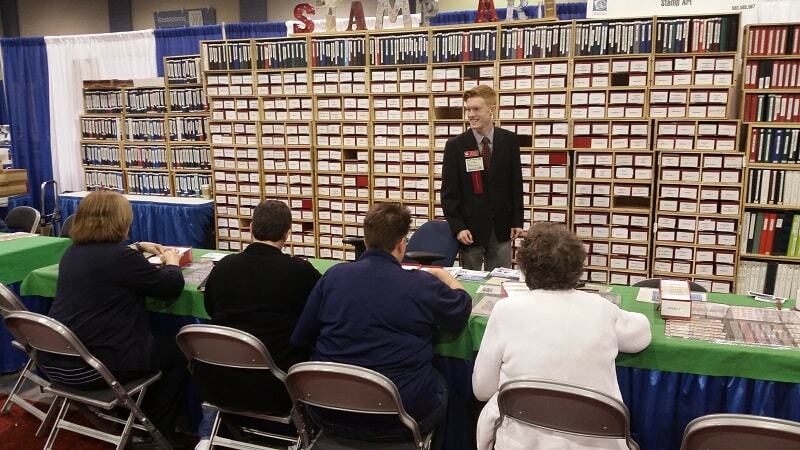 I chose the dealer track, where you learn what it takes to be a stamp dealer and how to create a business plan. The business I chose to create the plan for was this very website you’re on right now. I took it from a simple blog, and turned it into a complete social network. Basically, it’s Facebook for stamp collectors. When you sign up, you get your own profile where you can post anything from status updates to pictures of your latest purchase, and you can follow other users to see their activity. You can also join or create groups aligning with your interests, ask and answer questions on the Q&A page, browse businesses (or list your own) in the business directory, and so much more. My goal with this website is to promote and grow philately through education, expert help, and social interaction. If you’d like to be a part of this, you can create your account here. Try out the different features, and let me know what you think! (You can shoot me a private message on my profile). 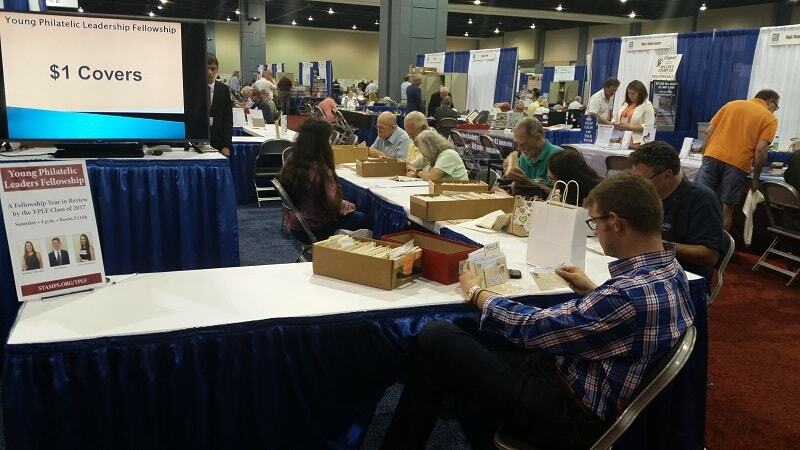 Thanks for reading about my experiences at StampShow. If you have an questions or thoughts, feel free to leave a comment below and I will get back to you shortly! 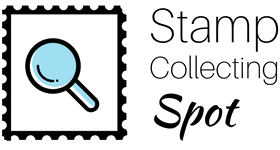 Previous PostIs Stamp Collecting Dying? Congrats for graduating the YPLF program! What’s the next step? As far as philately goes, my next steps are continuing to grow this site, and starting a stamp club in my area since the closest one is an hour and a half away. Enjoyed your article Ian…and meeting you at the YPLF booth. Though I’m many decades older than you, this was the first StampShow I have attended–mainly because it was relatively close to home and I’m semi-retired. 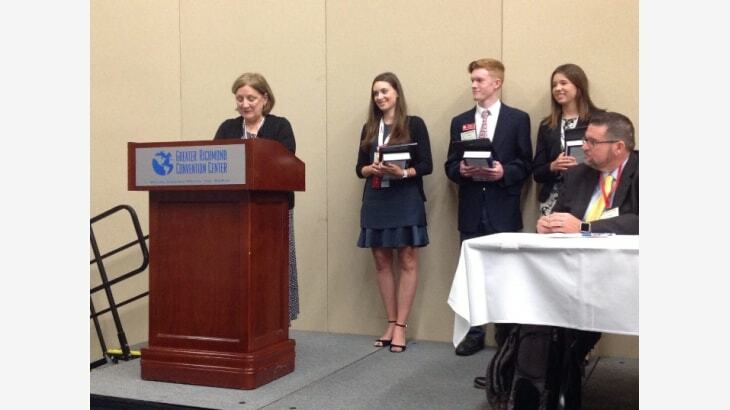 You and your classmates are fortunate to have been a part of the YPLF program. I wish I could have attended your experience summary presentations. Keep up the enthusiastic, good work. Thanks! It was great meeting you, too. I had a blast there! Great post, Ian! It’s interesting reading a different point of view of the show. Nice find at Stamps by the Bucket. I liked reading how the discovery went down. Ian, thanks for sharing your experiences at StampShow. It’s cool that each person who attends the show can get different things out of it. I especially enjoyed the first day ceremonies this year. Yeah, the first day ceremonies were great! Although I missed the UN one, I got to see the other two. The whole show was simply an awesome experience.